Private Party's page is live! 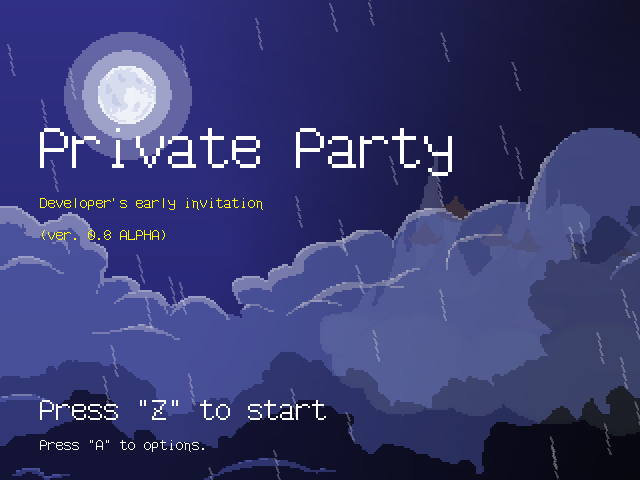 Private party is an RPG with exploration, character interations, boss battles, no random encounters and much more. I'm finishing it's demo, so you can all see what is this game all about. (It might be done by the end of february). 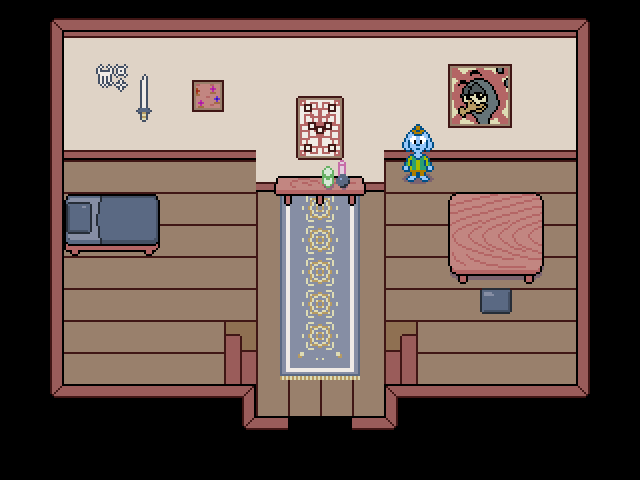 As you can imagine, it's a traditional-ish rpg, initially inspired by Earthbound and Undertale. Currently, I'm leaving aside those two games to create something more unique. If I got you interested, click in the link below. Looks cool, looking forward to the demo. Open another topic when it's out so we can see it and feature it. Feature it? I'd appreciate it very much! I'll make sure I'll open a new topic once it's out.